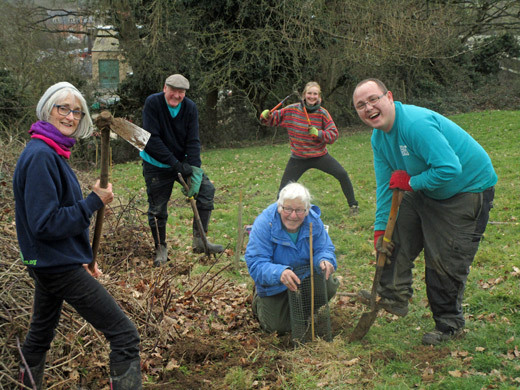 Hello and welcome to the website of Chipping Norton Green Gym. 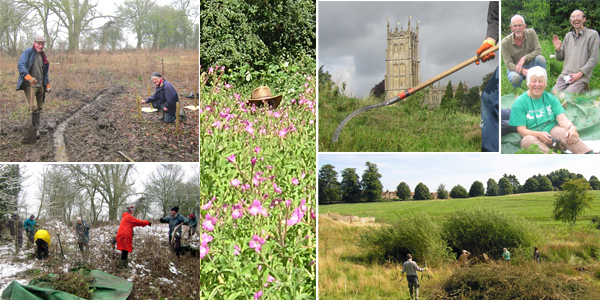 We are an independent community group that works on environmental conservation projects in Chipping Norton and the surrounding area and costs nothing to join. We normally work on Wednesday mornings (10am-1pm) – see our current programme. We are a friendly easy-going group who welcome new volunteers, whether as individuals or who come from a company which operates a community volunteering scheme. The aim is to have fun, and get some exercise and fresh air while helping to care for the environment. No prior skills or experience are necessary, and lifts may be available for those who cannot easily get to the worksites. Want to get fitter? Enjoy being outdoors? A range of jobs is available and all abilities are welcome. We remove brambles and scrub, keep paths and waterways clear, plant trees and flowers, weed gardens, lay hedges, and much more. We work on a variety of community sites. In Chipping Norton these include Pool Meadow and the Common, while the banner photo at the very top of the page shows volunteers under the magnificent trees on Hawkyard Common. Other local sites include the town’s Health Centre, and Chippy Community Orchard and Fitzalan Wood, both of which our Green Gym created. We support school gardening projects, and help maintain Kingham Millennium Wood and the Glyme Valley nature reserve, among other sites. We sometimes work in the mud, in the snow, among hat-high vegetation … but often in beautiful surroundings, and always find time to relax and have fun among friends, and get plenty of fresh air. By browsing through the web pages you should get a clear picture of what we do from week to week, but for quick snapshots, have a look at our short Powerpoint presentations. If you are interested in joining us, please contact Jenny on 01608 643269 or by email jennyharrington@btinternet.com. If you manage a community site which could do with our help, do get in touch with our Programme Organiser, David Newton, at dnewton@hotmail.co.uk. It’s surprising what a gang of volunteers can achieve in a morning – and much cheaper than contractors!